In this 7th episode segment, we Re-cast the popular 80’s film ‘Revenge of the Nerds‘. This was a hell of a film back in the 80s and was extremely difficult to recast now. I think we did it justice, and I’m sure this will be remade within the next few years, so Hollywood, please take our advice. Enjoy, and it was great to be Tri-Lambs for a day. 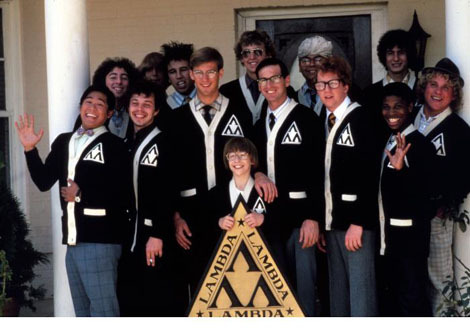 Enjoy the show and let us know who you would cast in a modern day look at ‘Revenge of the Nerds….. This entry was posted on Monday, September 9th, 2013 at 4:15 pm	and is filed under Events, Film, Music, News, Podcast. You can follow any responses to this entry through the RSS 2.0 feed. You can skip to the end and leave a response. Pinging is currently not allowed.